Is Sensory Overstimulation Stressing Your Dog? Dog professionals often talk about dogs who are under stimulated, dogs who lead boring lives with little stimulation, but on the opposite side of the spectrum are countless dogs who are overstimulated. Dog owners often fail to realize the impact overstimulation may have on their dogs and sometimes believe their dogs just need more training when in reality their dogs simply need less intense exposure and more skill on how to better cope with their environment. 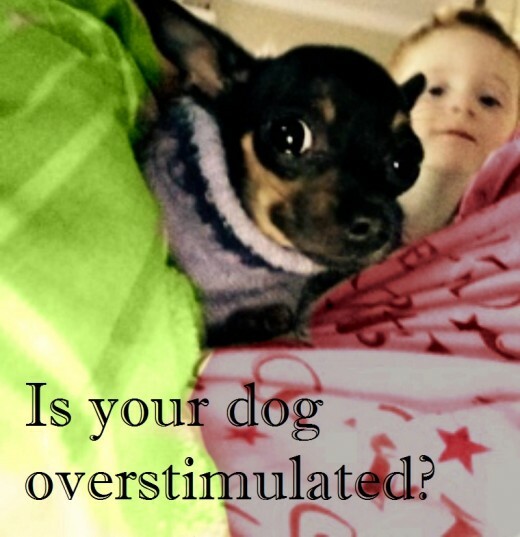 But what causes overstimulation in dogs? What are the signs? And what steps can be taken to reduce the impact overstimulation has on the lives of dogs? Every time our dogs are exposed to stimuli in their environment countless neurons fire off and the dog's brain reacts by telling them how to react. A stimulus is a form of energy that transfers to the body eliciting a physiological or psychological response. 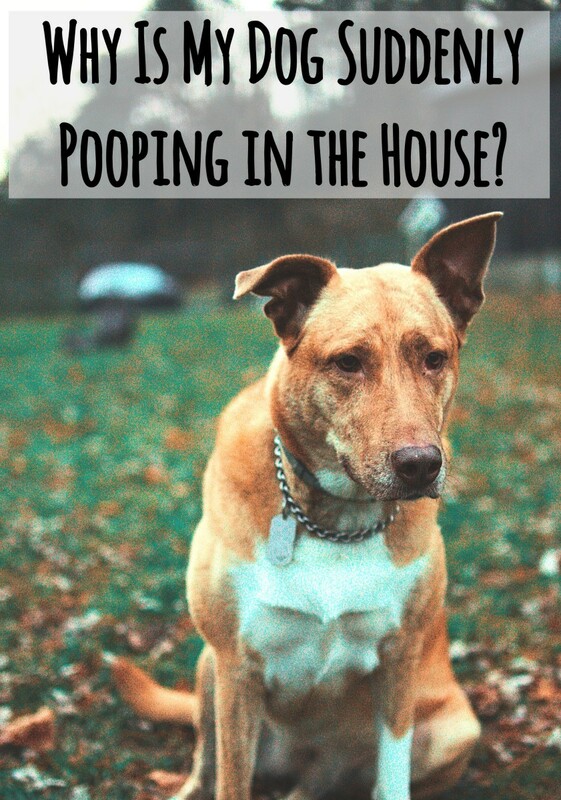 Whether it's just an ear twitch to identify the source of a sound or a more consistent barking directed towards strangers walking past the yard, dogs tend to react to stimuli they are exposed to on a daily basis. This happens because dogs (and humans) have special sensory receptors that have nerve endings that respond to stimuli by carrying sensory information to processing circuits in the central nervous system. Sensory receptors are found in the dog's auditory system (hearing), olfactory system (smelling), visual system (seeing), tactile sensory system (feeling) and gustatory system (tasting). Responding to stimuli in the environment is important as it offers higher chances of survival in animals. 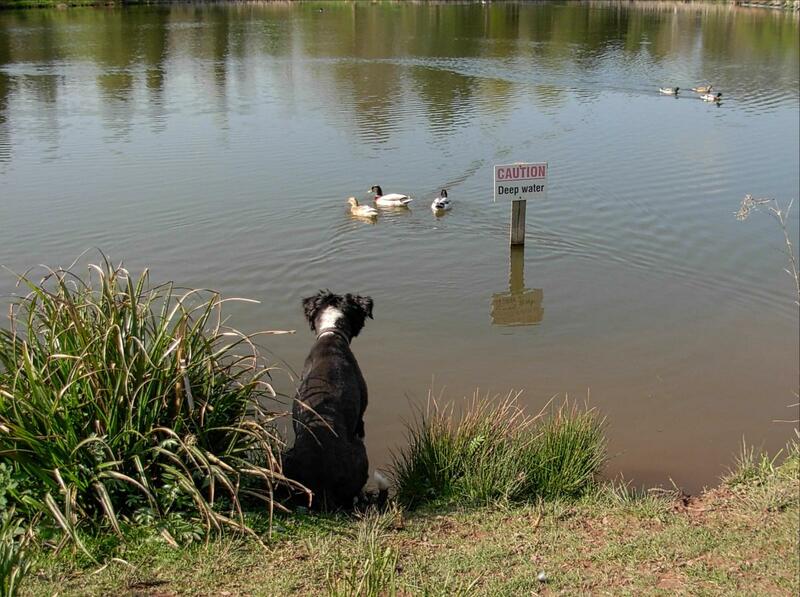 Dogs who sense a danger are likely to take action to up their chance of survival. On top of responding to external stimuli in the environment, dogs also respond to internal stimuli. For instance, the internal sense of hunger brings a dog to seek food, while the internal sense of thirst evokes a dog to seek water. 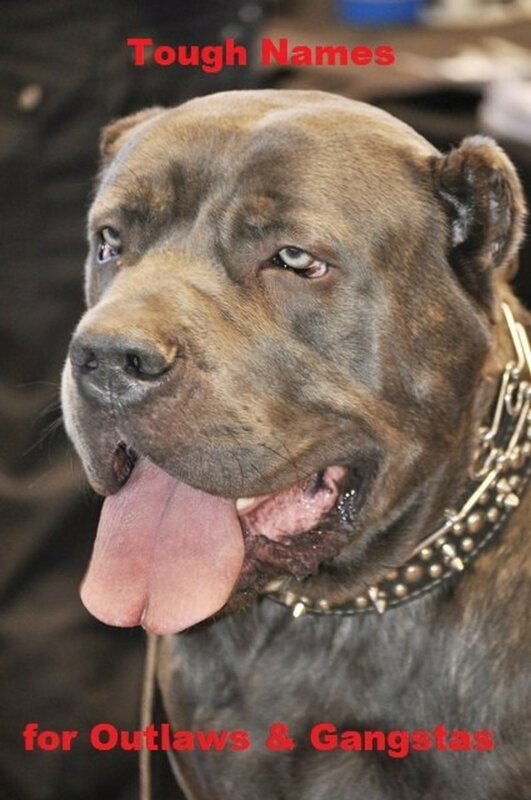 As seen, the dog's ability to respond to stimuli is very important, and dogs who are more alert, have a higher chance of surviving and reproducing compared to a dog who is not. While responding to stimuli in the environment is important to dogs and ups their chances for survival (adaptive), responding to too many stimuli may not. For example, a dog who retreats from a snake shows an appropriate, adaptive behavior, while a dog who retreats from everything that moves, exhibits an abnormal behavior that's maladaptive, explains Karen Overall, a diplomate of the American College of Veterinary Behavior and an Applied Animal Behaviorist. When dogs are exposed to an urban environment, dogs receive loads of sensory stimulation. Telephones ringing, computer beeping, dishwasher noises, door bells,alarm clocks, smoke alarms, microwaves, washing machines, televisions sounds are just a few examples of indoor auditory sensory stimulation. Not to mention outdoor noises such as sirens, car doors closing, other dogs barking, helicopters hovering and the noisy waste disposal truck. Dogs who have access to windows or dogs left in the yard are often exposed to additional visual stimulation under the form of cars passing by, strangers walking, joggers, children playing (hopefully not teasing the dog), postal service workers, people walking their dogs etc. We humans understand the many stimuli that we are exposed to on a daily basis. We are happy when our loved ones leave messages on the answering machine, we look forward to Fedex delivering us a package, we are grateful when the smoke alarm has informed us that our meal was burning in the stove and we know that helicopters hovering are not a threat to us. 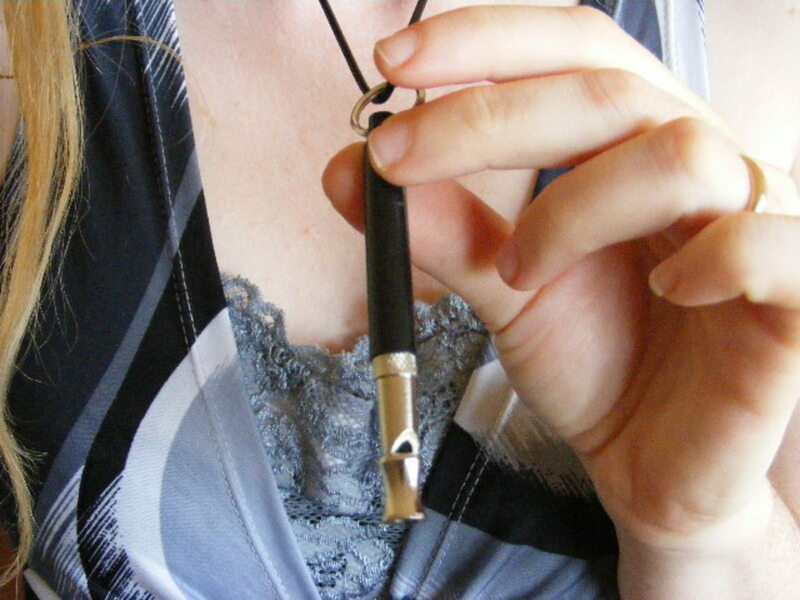 Best of all, if there's a new sound we can always talk to ourselves to reassure ourselves. What's that drilling noise? Oh, it's our neighbors, they are fixing the door! But what about dogs? Dogs are often left confused and in a helpless state. Dogs don't understand what is going on. On top of all that, further stimuli may be added to the list when we expose our dogs to noisy people, crying babies, unknown dogs at daycare, strangers who want to pat the dog on the head, scary stimuli on walks and hyperactive children who chase the dog down to get him to play. So do dogs live in a stressful world? Not all of them of course, but we must sometimes marvel at how adaptive our dogs are to be able to hold it together with all this overload of stimuli we expose them on a daily basis! “Research has shown that dogs are among the most adaptable of animals. Most dog guardians have thus assumed that it is the dog’s job to adjust to whatever environment we offer them—no matter how stressful. While many dogs are capable of coping with stimuli, and others eventually adapt, some others may not. 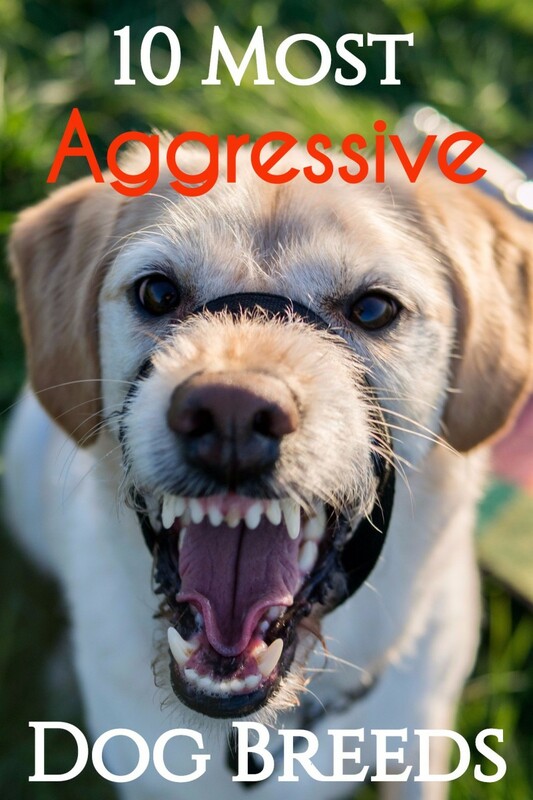 When dogs are bombarded with stimuli that they perceive as alarming, frightening or threatening, a series of physiological responses activate, triggering the fight or flight response. When this happens, the dog's sympathetic nervous system releases chemicals that work on keeping the dog out of danger and upping the odds of survival. Blood therefore flows to the big muscles so the dog can sprint to action, the heart beats faster, the pupils dilate and the dog experiences an adrenalin rush associated with other physiological changes. Chronic overstimulation causes dogs to be on this state of high alert for continuous periods of time which can lead to overdrive. 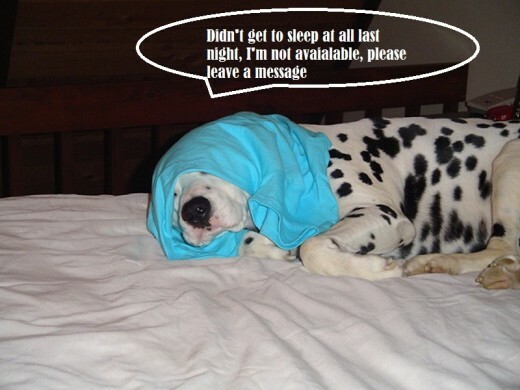 Following are some potential signs of overstimulated dogs. Socialize from an early age. Puppies go through a critical window of socialization which takes generally place between the age of 4 weeks and 16 weeks. This is an optimal time to expose them to all the sights, sounds and smells that the puppy will likely be exposed to for the rest of his life. Getting a puppy used to the sound of phone, the vacuum, the sight of people on bikes, children, cars and everything else that he'll be likely to encounter in life, will up the chances that the puppy will accept the whole stimulus package as normal. Record your dog's behavior. Many dog owners do not realize how their dogs feel when they're left alone at home for a good part of the day. 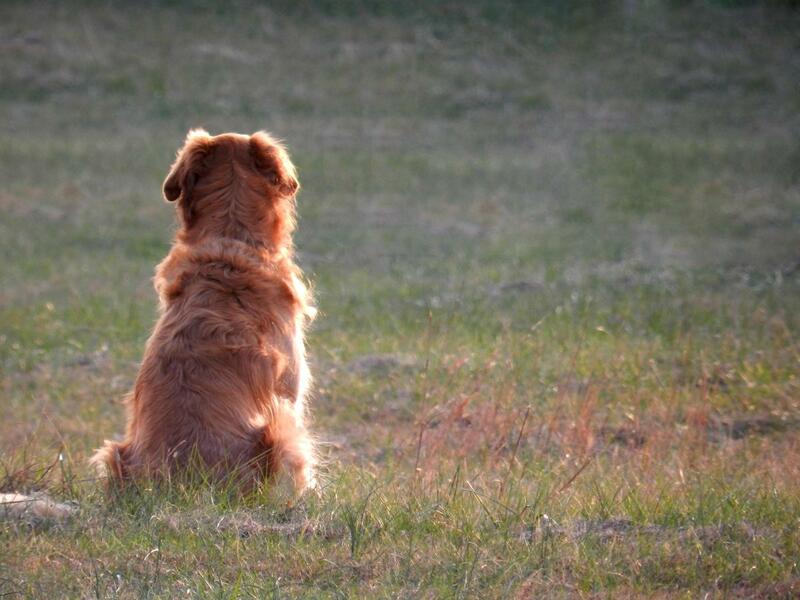 Recording the dog's behavior in the owner's absence can provide an important insight as to how he is feeling. 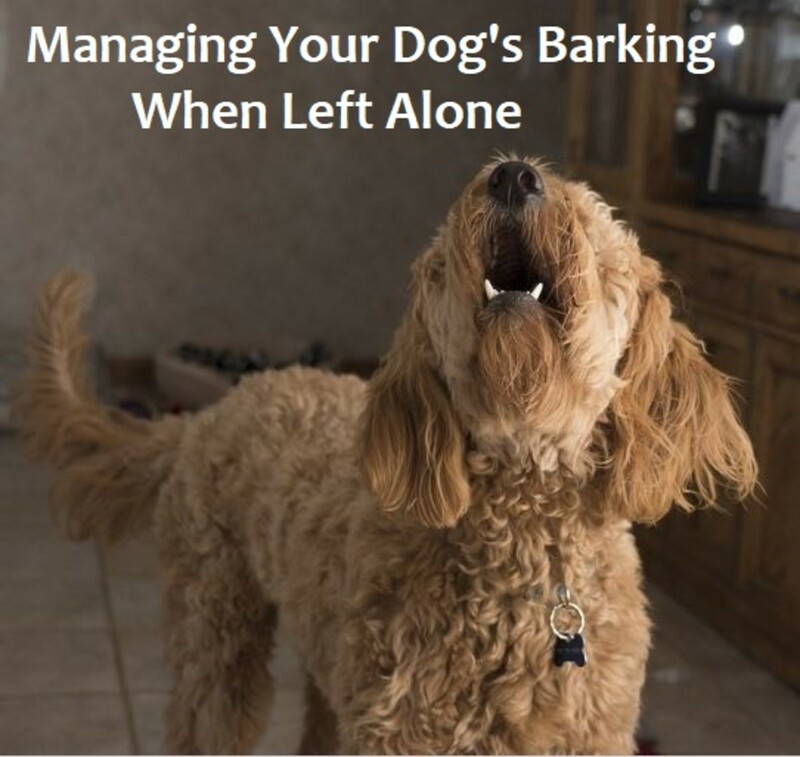 Many dogs cope poorly with sounds when their owners are away as they are deprived from the reassuring presence of the owners. Muffle sounds. If your dog appears to get stressed by sounds you can provide some form of white noise to muffle the sounds. Try turning on the radio, playing music (Through a dog's ear) or running an exhaust fan. Of course, use these sounds only if they seem to have a soothing effect on your dog. It also helps to turn down noises a notch. Lower the TV volume, do not create excessive commotion when your favorite team wins, play the radio at a lower volume, tell your guests not to use the doorbell (let them call you in advance). Invest in calming aids. DAP diffusers, DAP collars, body wraps, calming capes and nutriceuticals can help take the edge off and help dogs better cope with stressful stimuli. Provide a predictable environment. Just like humans, animals feel reassured by predictable interactions and consequences, explains board-certified veterinary behaviorist, Debra F. Horwitz. When you disrupt your dog's schedules or life styles, this can trigger stress and anxiety. Try your best to stick to a routine. Provide exercise, but the right kind. Dog owners are often told that exercise can help their dog in many ways. Exercise your dog and he'll behave better, a tired dog is a good dog etc.. Exercises seems to have become a panacea for all dog problems, but it's important to realize that exercise can also be overstimulating and can heighten a dog's level of reactivity. This article explains how overexcitement can cause have high levels of stress hormones in the dog's bloodstream. Better options may be engaging in exercise in a controlled setting along with mental exercise. Desensitize and countercondition. You can help your dog better cope with noises through desensitization and counterconditioning. Turn that beeping sound into something your dog loves forward to hear! See the "hear that method" for a sample. Dogs who react to visual stimuli may benefit from the "Look at that' method. Find a dog behavior professional to help you implement these methods. 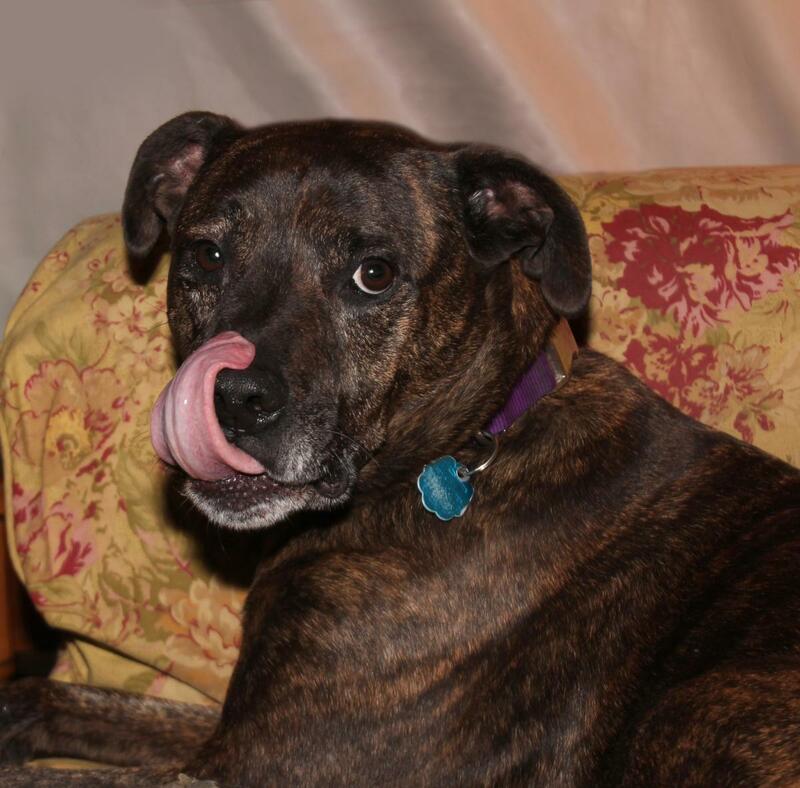 As seen, there are several ways you can help your dog better cope with stimuli in his life. By helping your dog, you may be able to have a less stressed companion who is more likely to relax. On top of that, with less stress in his life, you will be opening the lines of communication so that your dog has more energy to focus on training (and bonding with you) rather than over worrying about stimuli that really pose no harm to him. Alexadry © all rights reserved, do not copy. Do you think your dog is overstimulated? Yes, there are good chances he/she is. No, my dog is the calmest dog on earth. 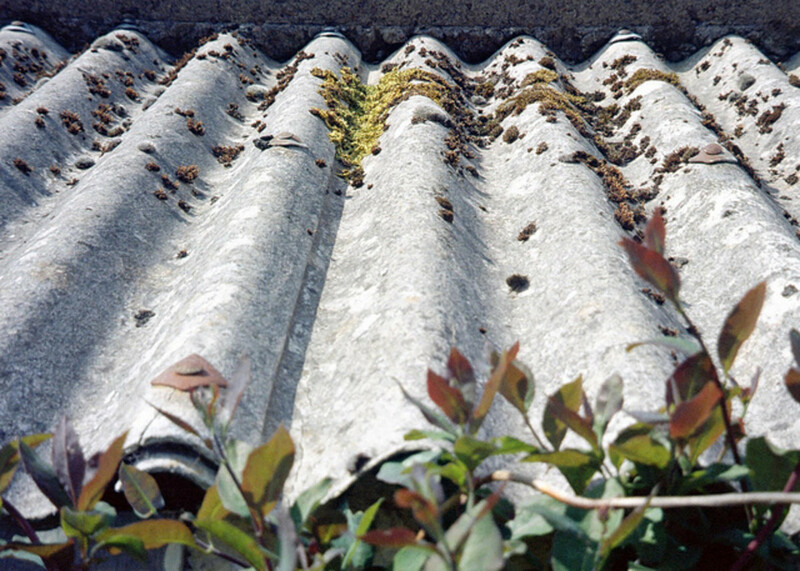 How Are Dogs Exposed to Asbestos? Neutriceuticals? They don't work in humans, either.... (except for placebo responders. Do you really know anything about dogs, or are you one of those "feel-good/do-gooders" that want to feel important and knowledgeable? You're certainly prolific on the internet, so you do have a large community of dolts to buy crap information such as I see all too frequently on your site. Dogs are amazing pets. Useful tips for dogs when overstimulated. Very informative article indeed. I believe it applies to two of my sweet neighbours, whose dogs are definitely over-stimulated. But they are sweet dogs too. On the contrary, I think my dog is living a bored life, because I am able to spend only little time with him. He gets over-stimulated when he sees other dogs while I am walking him or are on a long duration hike with him. Interesting hub full of valuable information, Adrienne. I see overstimulated dogs all the time. I spend 5 hours a day, 6 days a week in various pet supply stores, and when people bring their dogs in, they tend to get overwhelmed by all the smells, sounds and the presence of strangers and other dogs. Most dogs won't even take a treat from me under those conditions. They're too busy reacting to the environment. A lot of owners just think the dog is "excited" and don't do anything to address the situation.